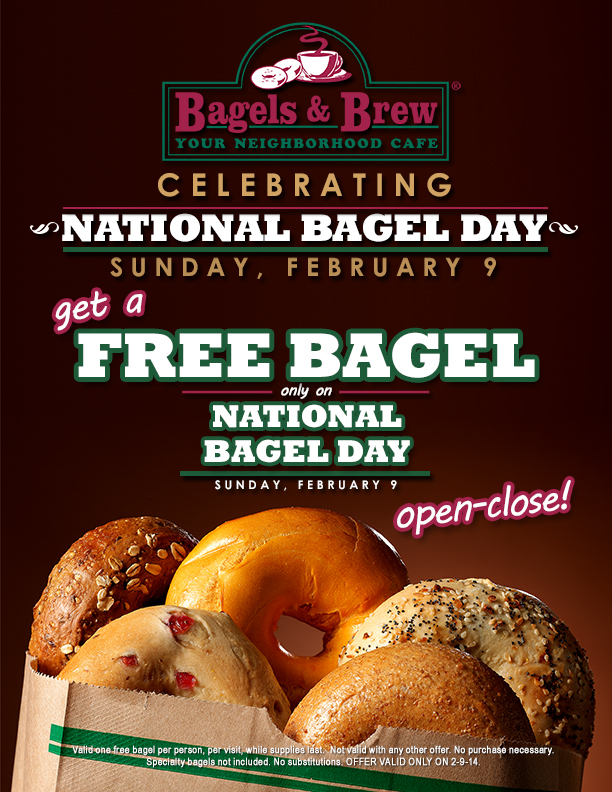 For the second consecutive year, family-owned fast casual restaurant Bagels & Brew will celebrate National Bagel Day Sunday, February 9 by offering each guest a free bagel. The local café will be offering free bagels from open to close at any of Bagels & Brew’s three Orange County locations in Aliso Viejo, Mission Viejo, and Lake Forest. Last year, Bagels & Brew gave away over 1,700 free bagels in its first time celebrating National Bagel Day with free bagels. “We hope to continue growing our neighborhood feel and building our community by saying thanks to our loyal customers and inviting new guests to try us with a free, gourmet bagel,” said Michelle McKay, Co-proprietor of Bagels & Brew.